After four weeks without a ball being kicked today looks like the day when we finally get to see some silky-smooth Lewes football. The Rooks have seen their last six games cancelled which now means they face 17 games in 8 weeks in March and April. Not that they are alone but it does reduce the concept of a league season from a marathon to a series of shuttle runs. In normal circumstances you wouldn’t bet against the teams with games in hand, but when you are forced to play 2 or 3 games a week most clubs would rather have the points in the bank. However, you can never accuse the masters of our league of sitting on their hands and doing nothing. Oh no. This week they allowed VCD Athletic to play at home instead of away against Brentwood to avoid another cancellation (VCD sit top of the Ryman North with just the six games in hand over second place Soham Town Rangers). Respect. Due to Bromley’s game scheduled for yesterday, our match against tenants Cray Wanderers had been shunted 24 hours later onto a Sunday. Now this was unusual. I had to consult with ClubSec Kev on the last time we played on a Sunday (Hendon away 2010). 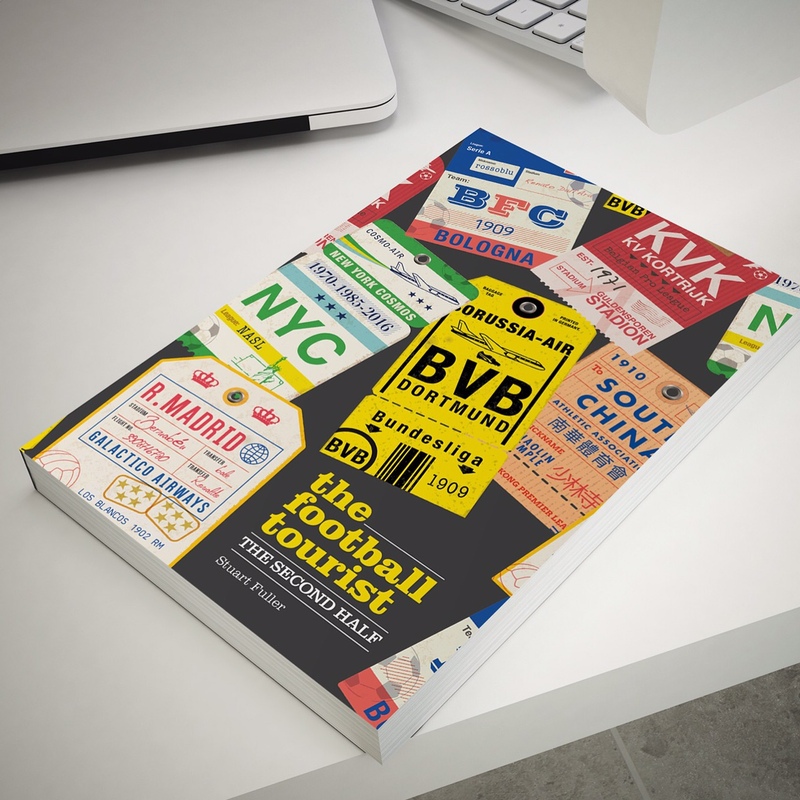 Personally I’m all up for Sunday games as it means I can slip in a bonus game on a Saturday – oh, sorry I meant do some scouting on the Saturday. It was 40 years ago last month that league football (bar the Sunday League-type stuff) was held on a Sunday. Millwall may be called a lot of things, but trendsetters isn’t normally one. However, on Sunday 20 January 1974 The Lions welcomed Fulham at The Den in what was the first of a dozen games played on that day. On police advice the game was to kick off at 11.30am and admission was by buying a programme as it was illegal at the time to sell tickets for sporting events on a Sunday (one of the reasons at the time why Test cricket had a rest day) thanks to the Sunday Observance Act of 1780. However it was really until the mid 1980’s that games were regularly played on a Sunday, when the first major TV rights deal was signed. ITV used to show a live game on a Sunday as part of the 2 year deal signed in 1983 for just over £5million, or 16 weeks of Wayne Rooney’s wages in modern monetary terms. Time has moved on thankfully and Sunday’s now offer us all the same perks as the rest of the week. All day drinking, the ability to wash our cars on the drive (still outlawed in some European countries) and of course wall to wall football coverage on TV. It was therefore rude not to head to Weatherspoon’s at Bromley South, after getting the jet washer out, for a few beers with the Lewes Lunatic Fringe whilst watching Livorno v Hellas Verona on the big TV, followed by Rayo Vallecano v Sevilla and then the swift walk to Hayes Lane. 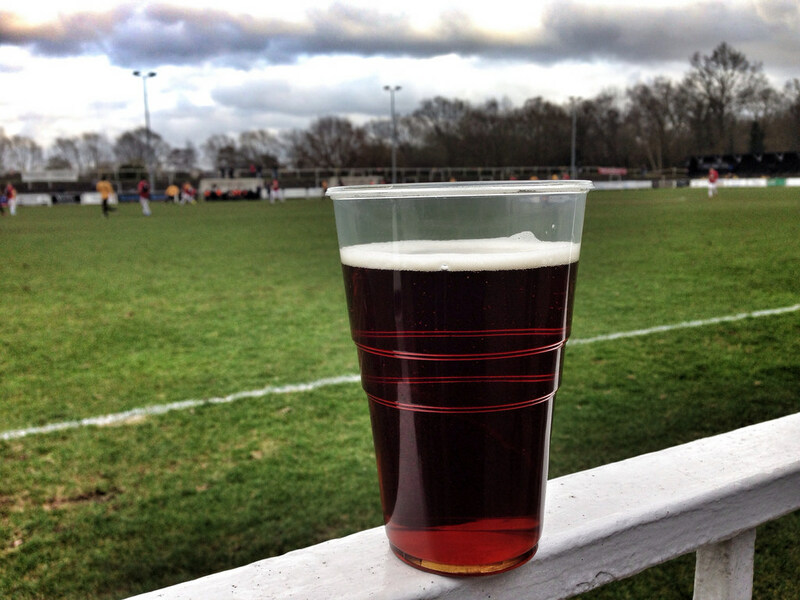 Cray Wanderers weren’t having the best of season’s. With four clubs due to be relegated this season they sat rock bottom coming into this game. They say it’s better to be in the gutter looking up at the stars than the other way round but that’s not a good look at the end of a Saturday night (apparently). The Non-Leagues today are full of examples of have and have nots. If the rumours are to be believed, one Kent-based club now has a weekly budget in excess of £5,000 per week which is crazy money at this level. Cray would simply love a place they could call their own home – a dream that every year takes one step forward and two steps back. Their latest attempts to get permission to move back to their homelands of the Cray Valley has met resistance from various factions. 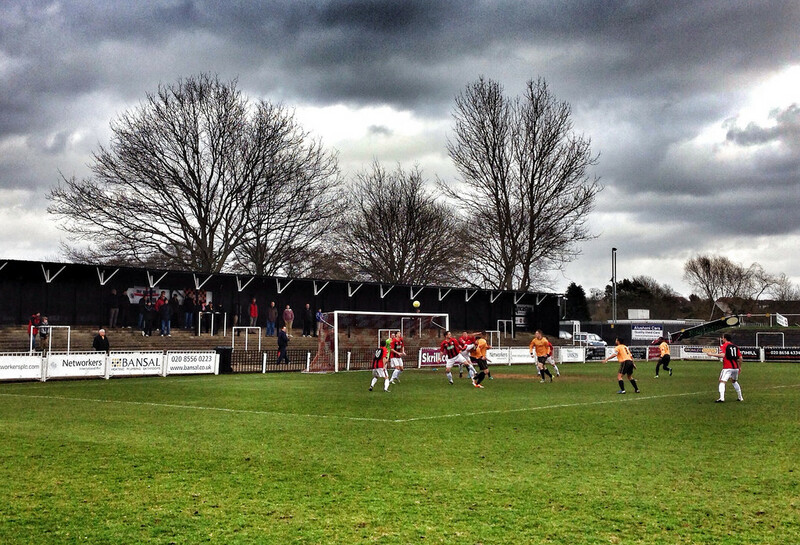 We can dress this game up any way you want but ultimately it was a walk in the park for Lewes. The fear we had walking to the ground from our colossal Sunday lunch and a few £2 (Two!) beers at Wetherspoons was that the players may have also indulged a little too much after the enforced break. Heck, it’s been so long since we say them play some may have even completed degrees with the Open University in Astrophysics. But we didn’t need tape or any silly rules about where we could and couldn’t drink because we had goals, and bags of them (assuming your bag could only hold a maximum of 4 goals). 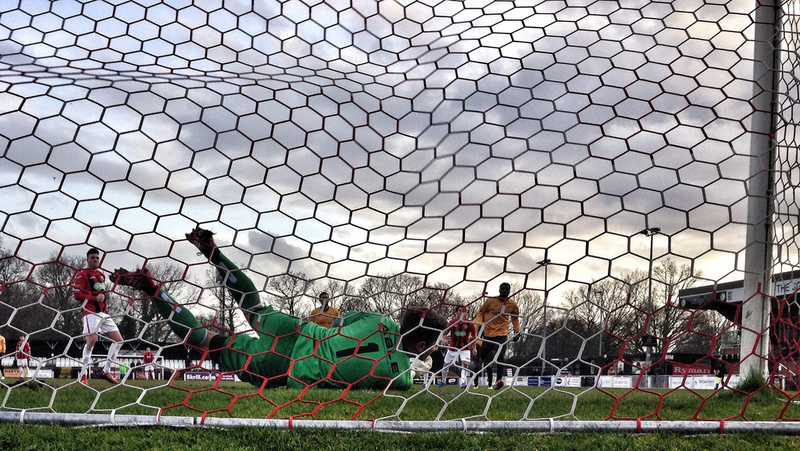 Ben Austin’s towering first half header from a Nicky Wheeler cross (“full-back not comfortable when wide player cuts inside” – tick) was merely the Hors d’oevres to a second half feast. Luke Blewden doubled the lead with one of those near-post headers on the run that make even the most resolute fan punch the air in delight. Number three came from Jack Dixon’s penalty kick which had us scampering down the terraces to get an action shot and then Dixon scored his second with a screamer from the edge of the box. His early season goals had been vital in our challenge near the top so who’s to know what another purple patch could deliver now. The fifth arrived when Sam Crabb played a neat one-two on the edge of the area, found some space and slotted the ball home. Cruel as it may be we urged the team on to score more, knowing that the home side were only 2 goals shy of conceding a hundred so far for the season. A fine win, indeed the biggest win in the top 10 divisions of English football today, that saw us move up the table. With uncertainty still over what will happen with Maidstone if they finish in the top five, our eyes could start to turn to the playoffs if results over the next 10 days go our way. Best day ever. 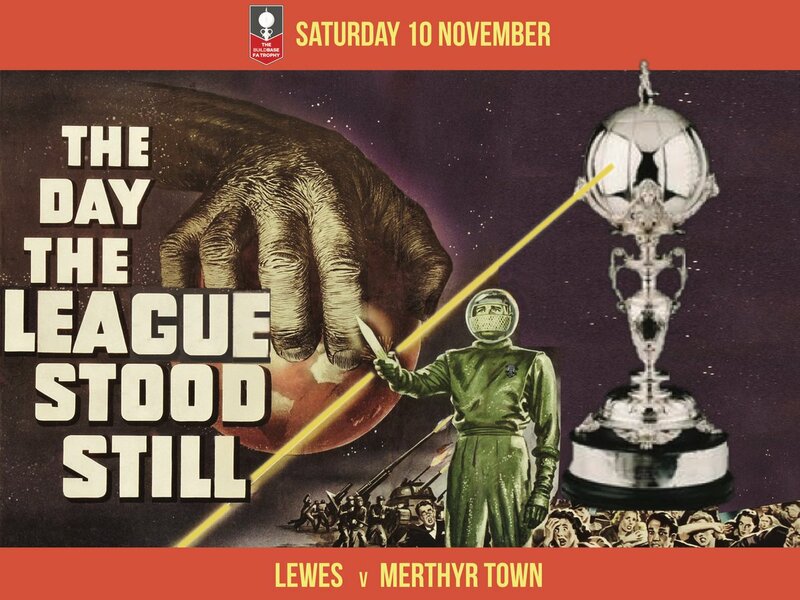 This entry was posted in Lewes FC, Non league football, Rymans Premier and tagged Bromley, Cray Wanderers, Lewes, Ryman Premier League, Sunday football. Bookmark the permalink.